Optic Gallery (Las Vegas) - Book Appointment Online! 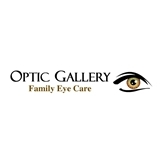 Optic Gallery Family Eyecare is committed to providing Las Vegas and Summerlin residents with quality eyecare, quality eyewear, and unrivaled customer service. With a wide selection of glasses from affordable eyewear to the latest in fashion trends, Optic Gallery Family Eyecare is keeping Las Vegas and Summerlin residents seeing in style. Our Las Vegas optometrists provide the most comprehensive eye examinations including contact lens fittings. Our Las Vegas optometrists are experienced in all areas of optometry, including pediatric eye exams of all ages and customized contact lens fittings for conditions such as keratoconus. Ask our doctors about pediatric eye exams and keratoconus contact lens fittings today. We hope to see you soon. He is a great doctor and very easy to talk to. He answered all of my questions or concerns and felt very well taken cared of!! Go See Dr. Wess! !